The Yetminster Jubilee Hall is located in Church Street in the centre of the village next to St Andrew’s Church. 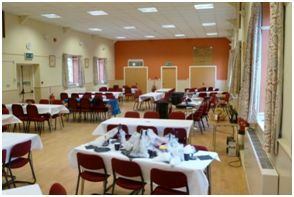 The original church hall has been enlarged and refurbished and now offers an entrance hall, a spacious main hall, a smaller hall/committee room (the Trim Room), a fully equipped kitchen, and modern facilities including WiFi, overhead projector and stage lighting. 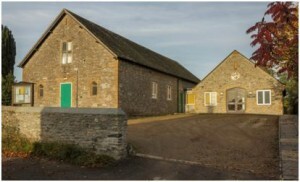 A spacious hall with access to modern toilet facilities, doors to the Main Hall and the Trim Room, and a separate office for the Three Valleys Team Ministry. The Main Hall has a maximum capacity of 250 standing, 120 in a theatre style seating arrangement, or 100 at tables of 4, 6 or 8. Chairs are modern, comfortable, fabric covered. Recently purchased modular staging provides a modern, flexible deck arrangement up to 5m x 4m. Floor panels are carpeted. One end wall is maintained for use as a film screen. An overhead projector and modern stage lighting facilities are permanently installed. 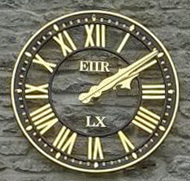 The Main Hall has a wooden floor and is currently the venue for activities as diverse as the Yetminster Short Mat Bowls Club and the Yetminster Irish Dancers. The Main Hall has direct access to the kitchen. The Trim Room holds 55 and is ideal for committee meetings, brain-storming sessions, or for the smaller dining occasion. The Trim Room also has direct access to the kitchen. The kitchen is well equipped with a large 4-ring induction hob and double oven, crockery and cutlery and is suitable for catering for most events. 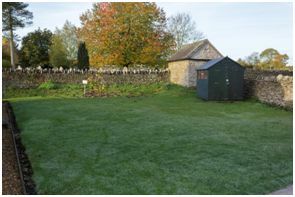 A marquee is available which can be erected in the rear garden, accessed from the Trim Room. The Trim Room houses a permanent display of 18 of the 26 canvas work panels of the Millennium Hanging, showing the life and history of the village. The other panels are on display in the adjacent St Andrew’s church. For more information about the Hanging please contact Mrs Frances Moule Tel: 01935 872447. Children’s Parties £25 per session plus £50 deposit paid in advance. Commercial event charges by agreement. Weddings £400 plus £400 security deposit for residents, £1000 plus £1000 security deposit for non-residents.